When you suffer from Leaky Gut Syndrome it’s important to place emphasis on nourishing your body. By supplying your gut with all of the nutrients that it needs, it will have all the necessary building blocks to repair the cells that line your intestinal wall. But for most Leaky Gut sufferers, this is easier said than done. When your digestive tract becomes compromised as it is with Leaky Gut, then your ability to digest and absorb nutrients is greatly reduced. So here are some helpful tips to help you get the most out of your food. Believe it or not but some foods actually work to block the absorption of nutrients when you eat them. Some of the biggest culprits are foods that contain Phytic Acid which is found in the hulls of grains, legumes, nuts, and seeds just to name a few. And when you consume foods that contain Phytic Acid it literally binds itself to minerals within the digestive tract and prevents your body from absorbing them. Many people will argue this because they will say that raw vegetables contain natural enzymes to help aid in digestion. And they are partially correct. And they will also say that cooking vegetables leads to a loss of nutrients due to the heating process. And again, they are partially correct. I’m not going to lie. Eating healthy while traveling is as they say, much easier said than done. And this past week was no exception for me. I attended a meeting in Las Vegas of all places. And while I didn’t partake in any of the festivities common to the city of sin, I did however try to defend my diet to the best of my abilities. But when both breakfast and lunch are catered with limited options, the task at hand becomes even increasingly more difficult. For example, breakfast for the first day of the meeting consisted of an egg white scramble with peppers and mushrooms, roasted potatoes, muffins, and a granola parfait dessert. If you ask me, this was a blood sugar crash waiting to happen. I don’t think there was an ounce of fat anywhere in this meal. And anytime I see egg whites, I’m pretty sure the eggs have been highly processed which typically involves toxic preservatives and other chemicals. While I use to see a menu like this and have an instant panic attack when I suffered from Leaky Gut Syndrome, I’ve since learned to roll with the punches and make the best out of any situation. Here’s some tips and what I did to help minimize the damage. The benefits of following a good food rotation diet have been known for quite some time now. So it’s surprising that I continue to find so many Leaky Gut sufferers and even health practitioners who don’t make use of this great resource. So if you haven’t yet started using a rotation diet to your advantage then let me be the first to tell you that you are truly setting yourself up for failure and missing out on some amazing benefits that could easily improve your condition drastically. Below I’ve listed 5 reasons why you really can’t afford not to follow a rotation diet no matter what your circumstances are. Odds are, if you’re reading this right now then you already know of what some of your food sensitivities are. But there are likely many others that you’re unaware of. And by rotating your foods according to a good rotation diet then you can begin to pick up on patterns and become aware of these additional food sensitivities, some of which will need to be avoided. I’ve seen this one all too often. Even after running expensive food sensitivity tests and becoming educated as to what foods need to be removed from their diet, many people fail to adopt a rotation diet and just switch to eating different foods. And soon enough, they create new food sensitivities to the new foods they eat. Are you aware that there are a number of hidden sources of gluten in many of the foods you probably consider safe to eat? The whole gluten-free movement is gaining a lot of ground lately and for good reason. People are beginning to see for themselves the positive effects that they experience just by removing gluten from their diet. But are you truly gluten-free? The sad truth is that gluten is still in many foods that you believe are gluten-free which is a big problem for many suffering from Leaky Gut Syndrome. And I’m only going to give you few here so keep in mind that there many more. And if you have a sensitivity or allergy to gluten and you find yourself still reacting to certain grains or packaged foods then be sure consider the following hidden sources of gluten and remove them from your diet. 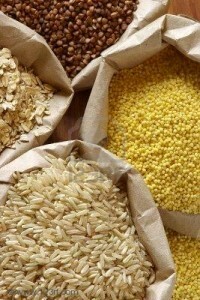 Probably one of the biggest hidden sources of gluten is grains. 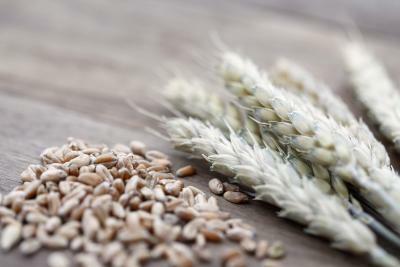 But I’m not just talking about wheat, barley, and rye which are the most commonly associated grains tied to gluten. There’s actually some form of gluten found in all grains. What Other Foods Are Causing Your Symptoms? Most people who suffer from Leaky Gut Syndrome are already figuring out that many of the common food allergies such as wheat, dairy, and soy play a big role in the severity of their chronic symptoms. And while removing these foods alone can oftentimes provide some significant relief there are typically many more food allergies that need to be addressed as well. This is because as leaky gut develops, your intestinal lining loses its structure and holes or gaps develop that allow small particles of undigested food (as well as bacteria, pathogens, toxins, etc) to pass from your digestive tract and directly into your bloodstream. And while in the bloodstream, your immune system does its part to fight off these invading food particles while building up antibodies for future encounters. It’s these antibodies that your immune system stock piles that can make you allergic to a food that you eat. And in the case of leaky gut, since any food particle can pass through your intestinal walls, you can become allergic to any food that you eat. The point I’m trying to make here is that you can and oftentimes do become allergic to the very foods that you eat most often. In fact, I find the biggest problems are oftentimes with my clients who like to eat the same foods every single day. Your immune system has no bias so it doesn’t matter if the food is healthy or not. So you can become allergic to chicken just as easily as carrots. And this can create a big problem because how are you supposed to heal your gut when you could be reacting to so many foods that you eat. And no, the solution is not to starve yourself. 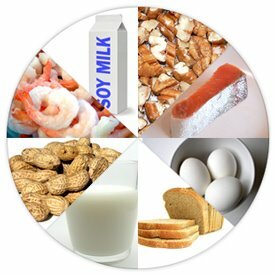 The solution is to determine your food allergies so you can eliminate those foods from your diet. There are a few ways to do it and I’ve done them all myself. 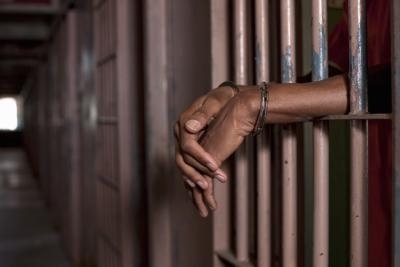 What can you learn from prison inmates? Apparently, you can learn the truth about soy. I want to share an interesting story with you about the Illinois prison system and their experience with a high soy diet. In 2002, the governor of Illinois determined that it would be a great cost savings to the state to lower the cost of food in the prison system. So in 2003, inmates began receiving a diet high in processed soy protein as a replacement for meat. Up to 60-70 percent of the protein from every meal came from soy. The last time we talked, I introduced to you the idea that saturated fats are not as bad as you think. It really has been trans-fats and the increased consumption of refined and rancid oils (like vegetable oil) that are the major culprits in this whole fat scandal that has been happening for the past 50 to 60 years. 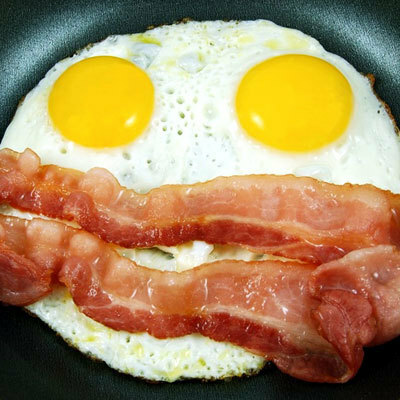 The major point that I wanted to get across last newsletter is that saturated fats are not bad and that it has much more to do with the quality of the fat itself. But let’s take it one step further. 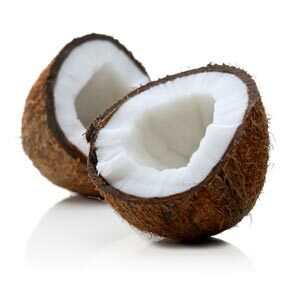 Another great quality of saturated fats is that they are very stable, especially at higher temperatures. Unsaturated fats on the other hand are much less stable and can easily become rancid and therefore toxic to your body. Olive Oil to the Rescue? And while everyone wants to tout the health benefits of Olive Oil, it happens to fall right into this category. Olive Oil is great for salads and side dishes but if you are cooking with Olive Oil at high temperatures then you might want to reconsider your choice of oils. When it comes to your gut and your health, saturated fats might be much more important than you think. In fact, what if I told you that saturated fats would help you heal your gut? Butter consumption DECREASED from 18 lbs. per person per year to only 4 lbs. Food allergies (well the most common food allergies at least) are slowly beginning to get the recognition they deserve as being a big contributing factor to many chronic health symptoms. 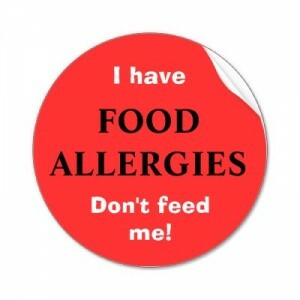 But few actually understand how involved these food allergies really are. While most people on lookout for the most common food allergies that produce an oftentimes life threatening reactions, there is a whole other world of food allergies that attack much slower and can do a large amount of damage over longer periods of time. And while the fast acting and severe food allergy reactions are easily identified, the slower and oftentimes delayed food allergies are much more difficult to pinpoint. Immediate allergies are those reactions that are typically associated with a severe anaphylactic reaction from IgE immune antibodies. These are the reactions your doctor typically tests for using a skin-prick test while observing any reactions you develop within 15 to 30 minutes following the test. While these IgE allergies are important to know and understand, they only affect between 2% to 4% of the population. The vast majority and most common food allergies are oftentimes less severe delayed food allergies. These types of food allergies are a result of many different immune reactions including IgG and IgM antibodies as well as other immune complexes such as Hatpens, Lectins, and Amines. These immune reactions can appear anywhere between 30 minutes to 72 hours after a food has been ingested. But more importantly, these delayed reactions affect more than 15% to 25% of the population. These delayed food allergies are most often associated with less severe but often puzzling symptoms such as seasonal allergies, ADD, ADHD, asthma, eczema, GERD, IBS, Fibromyalgia, Ulcerative Colitis, Crohn’s Disease, and migraines, and just to name a few. Wheat and Wheat Gluten top the list as one of the most common food allergies. It continues to be an extremely problematic food for many people. In fact, some studies have shown that gluten is a problem for more than 50% of the population. But the majority of these people don’t even know it. Just because you need to stick to your leaky gut diet plan doesn’t mean that you have to lock yourself in your home in fear of eating the wrong the thing. But that is exactly what I did when I discovered that I had leaky gut. After I discovered my underlying gut problem I spent years being so afraid of food that I refused to eat out at any restaurant in fear of eating something that would trigger my symptoms. Living in fear of food is not living at all and I don’t want you to follow that same path. You can still enjoy getting out of the house and eating at restaurants. You just have to be a little more careful about what you order. It isn’t that hard, it just takes a little getting used to. Follow these simple rules and you won’t have worry about or wonder what you’re eating and whether or not it will impact your chronic symptoms. Meat and vegetables should make up the bulk of your leaky gut diet so it is best to stick with them when eating at a restaurant as well. Look for fish, chicken, turkey, beef, and lamb menu items. These menu items typically served with vegetables. 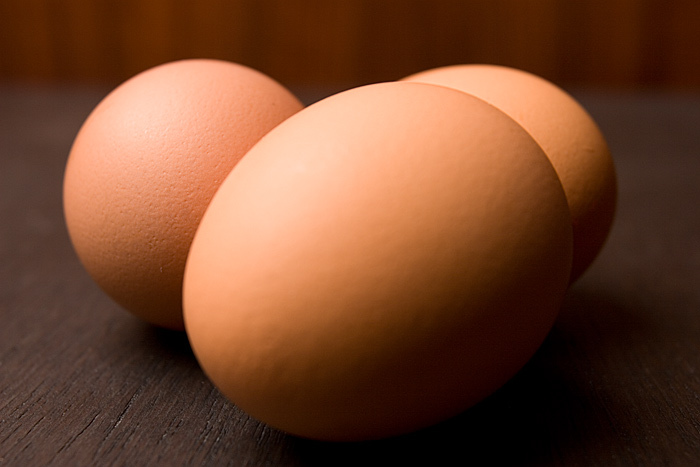 Make sure you are getting an adequate amount of protein. Try to stick to less starchy vegetables like ordering a sweet potato instead of a white potato. When ordering your meat it is best to order it grilled, poached, or sautéed. Many restaurants fry their foods in trans-fats and/or vegetable oil which cause massive amounts of inflammation and should be avoided at all costs. Our culture has become very accustomed to bread and pasta with every meal. Restaurants love to give them to you because they are cheap filler foods with no real nutritional value. When avoiding gluten, these foods should be avoided. Don’t be afraid to ask the waiter/waitress to not bring the complimentary bread basket so it doesn’t become tempting. If you aren’t sure how a particular dish is prepared, then ask the waiter/waitress. Food allergies are a big issue and liability for restaurants so if they don’t know, they should go to the kitchen and get the answers for you. Also, don’t be afraid to order something that isn’t on the menu. If you want something simple like a grilled chicken breast with vegetables, almost any restaurant will accommodate you. Hidden flours are in many menu items. They are typically used as a thickening agent for sauces and flavorings. Stay away from thick, creamy, and cheese sauces as much as possible. Nicer restaurants know that better and fresher ingredients taste better. They typically use organic ingredients as much as possible. They also typically cook in healthier oils that don’t go rancid. Nice restaurants will never sacrifice quality for price. Alcohol is one of the driving factors behind intestinal permeability. Because of this, it should be avoided entirely on your leaky gut diet. You should love yourself enough to not give into the peer pressure. Odds are if you are out with others who are heavy drinkers, there is a good chance that they are suffering from chronic symptoms as well but they just aren’t ready or willing to deal with them yet. Now that you have your leaky gut diet restaurant tips in hand you can enjoy a night out on the town without having to sacrifice your health or gut healing process. If you haven’t already, be sure to check out these leaky gut diet tips to help you kick start the gut healing process.